Quick and easy entry and access to your most valuable asset! Managing your Customers is a simple process with InterActive DMS, and entering data is even quicker. 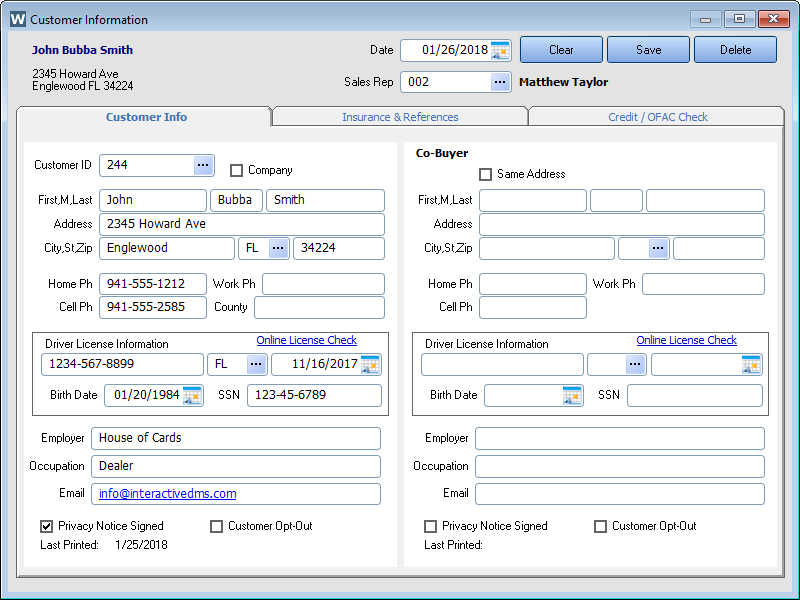 Contacts and References are valuable assets to any dealership, whether they give you the opportunity to increase your sales or use them for the collection process on your in-house finance customers. InterActive DMS has unlimited contacts and references. Pull and save credit reports from all three credit bureaus: Equifax, TransUnion, and Experian. We can help you set up a new account or you can even use your existing credit bureau account. No need to double enter information. 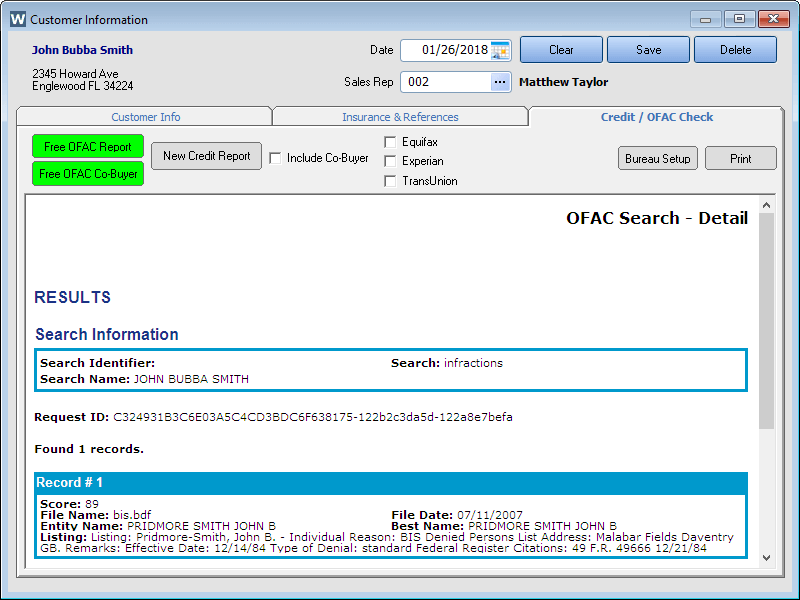 Stay in compliance by using our FREE live OFAC search. No need to pay additional fees or use some cumbersome free listing to check your potential or existing customers. Print the report as proof of compliance. 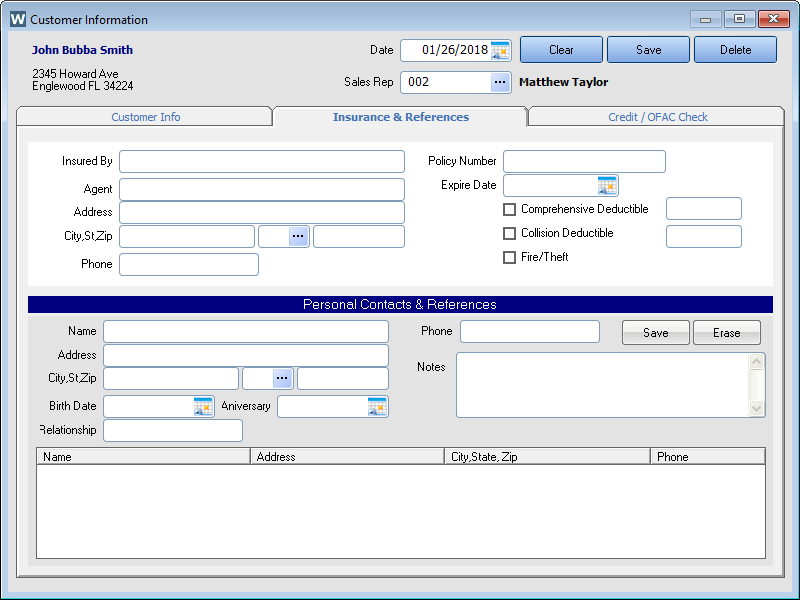 This valuable tool could save you thousands of dollars in fines. InterActive will also keep you in compliance with FTC safeguard rules. 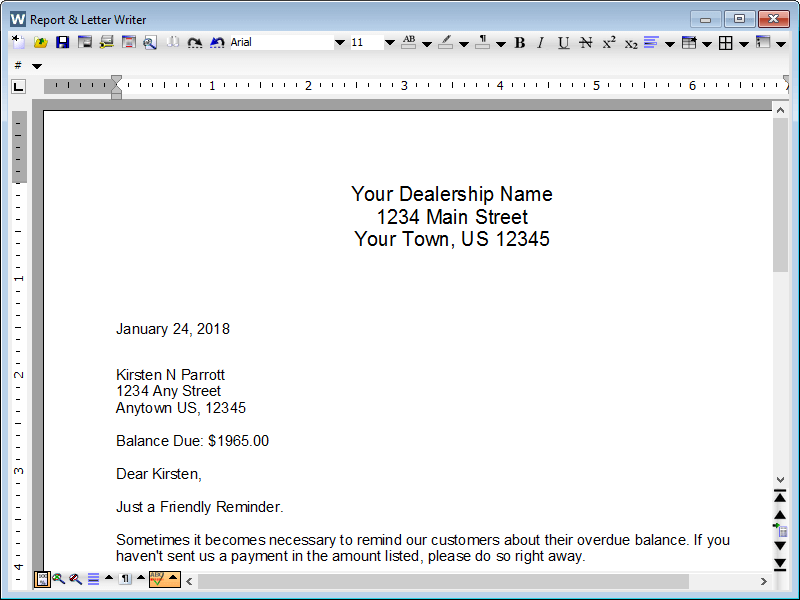 Automatically print privacy statements and required annual privacy statements.